Today I’m delighted to present (my first post Llandeilo Festival of Senses) book review and what would be more appropriate than to indulge in the book of a Llandeilo born author. “The Legacy of the Sky Pendant” by Jonathan Crayford is the intriguing offering by a promising new voice in fantasy writing. The book is the first in a series and consists of two parts. In the first Marcus defends his home town and country against malignant invaders with the help of the Sky Pendant’s energy. As an inexperienced yet resourceful young man he brings new ideas to wit to the struggle and soon earns the respect of king and country. In the second episode the pendant is passed down to a generation 98 years later. In this story another young man also meets a challenge, although a fairly different one: winning a race against a tough competitor during a festival. The story lines and characters are classic fantasy and adventure fare with great suspense, battle scenes and the marvellous fighting spirit of those determined to win and prove themselves. The book benefits from the change from one protagonist in the first part to the second in the next – making the mysterious pendant the quiet but never forgotten focal point. The stories are united by plenty of parallels and common themes: pride, ambition and striving to be the best we can. Marcus and Cruise as youthful fighters show how inexperience can be overcome by audacity and focus while innovation and fresh ideas can build on what has been achieved in the past. Much thought has gone into portraying the manifold and powerful themes within this novel, making it a very enjoyable and rewarding, rich and refreshing read. I have no doubt we’ll be hearing more of Jonathan Crayford in the future and I look forward to see the story and his writing developing. Well done to a marvellous debut. As Marcus stands patiently at his post at the castle wall, ready to defend his home village of Soulwind, he fumbles a strange pendant fastened securely around his neck and is completely oblivious to its enhancing effects, and also of its origin. Who are these strangers who have suddenly turned up in the peaceful kingdom of Termelanor? And what do they want? Jonathan Crayford is an exciting new author based in the heart of Wales. Jonathan has been interested in writing from a very young age. to secondary school, where his favourite subject was English literature. Upon entering the working world Jonathan lost touch with his passion for writing as he experienced many different Jobs, from Butchery to Architecture, and he even took some time out to travel in Europe and Asia. Jonathan’s love of writing re kindled some time in his mid twenties. Jonathan now lives in a small peaceful village tucked away in picturesque South West Wales. 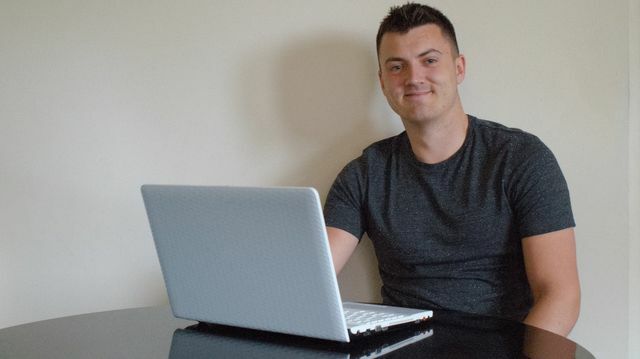 He writes during his spare time between his day job working for the local emergency services. 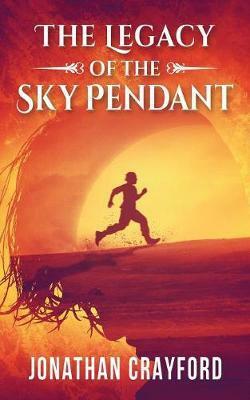 Jonathan Crayford is currently working on a sequel to ‘The Legacy of the Sky Pendant’. Congratulations to Jonathan. It sounds like a great book. Good luck! Check out this review of the book, he Legacy of the Sky Pendant by Jonathan Crayford, as featured on Writer Christoph Fischer’s Blog. Sounds like a fantasy read that tributes great virtues. An excellent review! Thanks. The book certainly does that! Hi Christoph. Somehow I missed this post, even though I had been keeping an eye out for new ones from you… WordPress is really going to extremes with their monkeying around. There are several blogs that when I visit, WP gives me the posts out of order. Anyhow, I’m glad I found this one. The book sounds terrific, and the cover is very cool! Best to Jonathan. Hugs all around. Thanks Teagan. Good to see you. I know how you feel, wordpress is confusing me, too. Luckily your blog still delivers every post into my inbox, while many have disappeared for no reason at all.